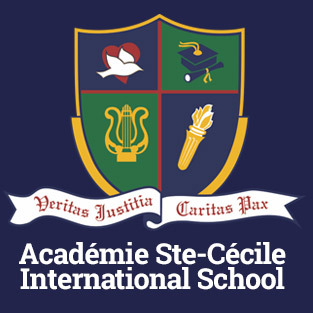 Académie Ste-Cécile International School is committed to offering subjects and programmes that will offer students many opportunities to challenge themselves and excel inside and outside the classroom. ASCIS offers its students the following programmes in order to open further doors at the undergraduate level and to pave the way for them to become leaders around the world. 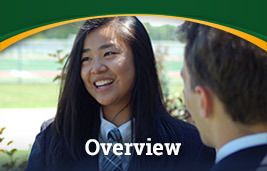 The Advanced Placement (AP) programme introduces students to college-level courses, many of which are accepted as credits for undergraduate studies. 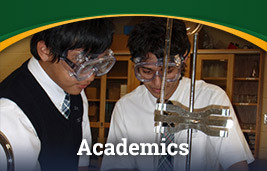 The International Baccalaureate (IB) offers two streams: Diploma and Course. For the Diploma Programme (DP), students must complete all their subjects as well as three Core topics (Creativity, Action, Service; Theory of Knowledge; Extended Essay). For Course option, students may pick and choose from a diverse range of academic subjects, which may be taken at the Higher Level (HL) or Standard Level (SL). The International Baccalaureate Middle Years Programme (IB MYP) is compulsory for all students in Grades 7 and 8. 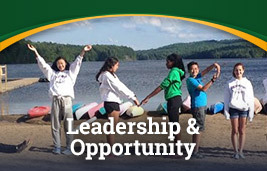 Students will be introduced to concepts of inquiry-based and lifelong learning and will gain valuable preparation for the IB DP in Grades 11 and 12. ASCIS will be submitting its application for authorization in the Spring of 2020. What is the Advanced Placement Program®? The Advanced Placement Program® (AP®) is a challenging academic program designed to provide motivated high school students with college-level academic courses. Established in 1955 by the College Board, the AP Program is a cooperative educational endeavour between secondary schools and colleges and universities. High school students who complete AP courses demonstrate their mastery of subject material by earning qualifying grades on AP Examinations. 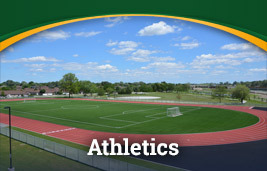 AP is considered a standard for academic excellence in the United States, where nearly 60 percent of secondary schools participate in the program. AP courses with qualifying exam grades are accepted for credit, advanced placement, or both by most American colleges and universities. 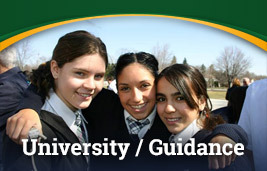 In addition, AP courses and exam grades are used in the admissions process in more than 500 universities outside the United States. Why do AP? Extensive Recognition. AP is recognized by approximately 3,400 American colleges and universities, which grant credit, advanced placement or both for AP courses and exam grades. More than 500 additional universities in more than 30 countries also recognize AP courses and exam grades in the admissions process. Colleges and universities recognize the value of AP for preparing students to succeed in rigorous university courses. AP is affordable, the only fee being $82 per examination, $22 of which may be waived in cases of economic need. AP offers flexibility for schools, which can offer one or many AP courses and different AP courses from year to year. AP also offers flexibility for teachers, who have latitude to determine their own curricula. AP promotes open access to students who may excel in only one or two academic disciplines. The AP Program is designed to give all students an opportunity to challenge themselves with a rigorous academic experience. AP emphasizes statistical exam reliability to ensure fairness in scoring, along with results that can be trusted by students, schools, and universities. Through regular surveys and comparability studies, the AP Program ensures that courses and examinations reflect actual university-level standards. The IB DP is a comprehensive and rigorous two-year curriculum leading to examinations for high school students in their senior years of study. The IB Diploma has become a symbol of academic integrity and intellectual promise. It represents a deliberate compromise between the specialization required in some national systems and the breadth preferred in others. The general objectives of the IB are to provide students with a balanced education, to facilitate geographic and cultural mobility and to promote international understanding through a shared academic experience. The student who satisfies IB demands demonstrates a strong commitment to learning both in terms of his or her mastery of subject content and his or her development of the skills and discipline necessary for success in a competitive world. Although the IB Diploma Programme is rigorous, it is one that is defined by openness and acceptance of all types of learners. 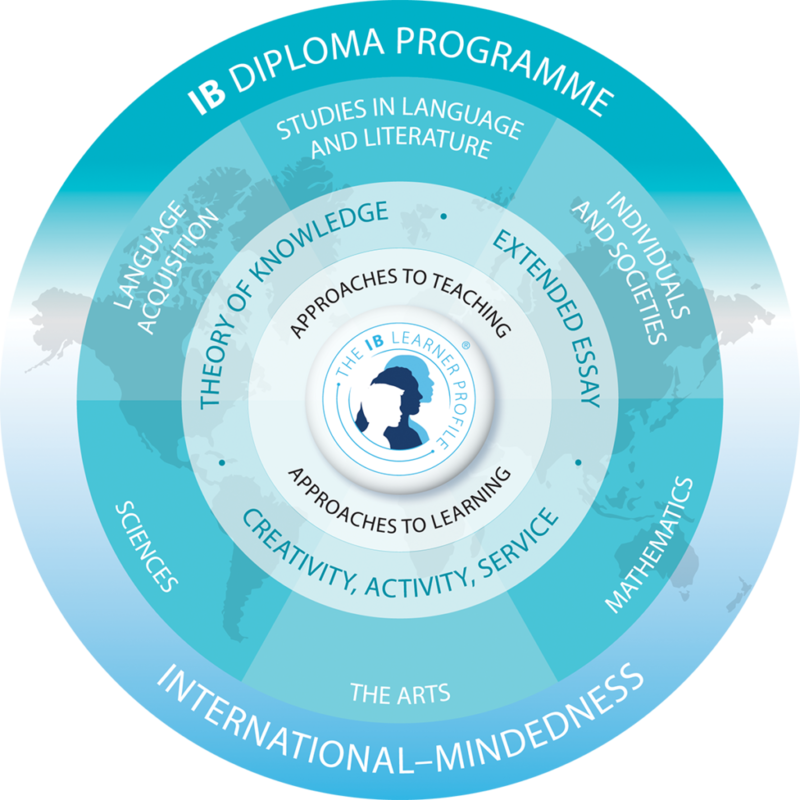 Students are encouraged to consider the IB diploma not only as an academic credential, but also as a learned philosophy towards life and global-mindedness leading to global citizenship. Diploma – Candidates are required to complete all requirements of the diploma, including the Core and the study of one subject from each Group. 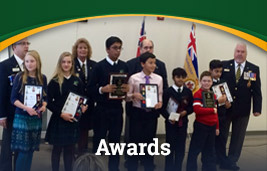 At the end of their two years of study, students will receive the full IB Diploma. Course – Candidates can choose up to six IB subjects to study but are not required to complete the Core module. At the end of their two years of study, students will receive a certificate of course results. Anticipated – Diploma candidates may complete some of their courses in the first year of study in order to lighten their workload for the second year. Significant numbers of IB Diploma holders from within and outside North America have gained admission to Harvard, Columbia, Yale, Princeton, Stanford, McGill, Toronto, MIT, Cambridge, Oxford and other prominent institutions. The Learner Profile is one of the most important aspects of studying in the IB Diploma Programme. The best candidates will seek to fulfill all aspects of the Learner Profile through the regular study of their mainstream coursework subjects and the completion of the Core subjects. These components, in particular the Extended Essay, are meant to prepare students for rigorous study at the university level. Research conducted by various bodies has found that the IB Diploma Programme has played an integral part in Diploma awardees’ feelings of preparedness and confidence in their university studies. Theory of Knowledge is a component that permeates all other subjects in the IB Diploma Programme. Candidates will study epistemology, the philosophy of knowing. Through enquiry-based learning, Socrative questioning and other strategies, students will discuss and engage with the nature of what it means to “know truth.” Questions of the reliability of our senses and other philosophical issues are of primary concern. Through engaging in CAS, candidates will enjoy new experiences which will allow them to see other perspectives and paradigms – an integral part of being an IB learner. The Extended Essay is a 4,000-word research paper that is to be individually written by an IB Diploma candidate and supervised by a member of staff. It is to be completed over the course of the two-year programme and is meant as an introduction to university-level academic research and writing. Candidates will learn how to conduct research from reliable sources, apply it to their writing in a recognized format, and write an abstract. At the end of the process, students will participate in a viva voce interview, which acts as a preparation for a university-style thesis defence. Académie Ste. 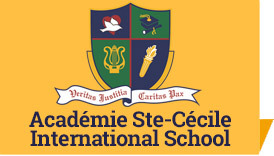 Cécile International School is a candidate school* for the Middle Years Programme. Our school is pursuing authorization as an IB World School. These are schools that share a common philosophy—a commitment to the high quality, challenging, international education that Academie Ste. Cecile International School believes is important for our students.